After the completion of the revolutionary war the North American land holdings were ceded to the United State of America. On October 10, 1780 the United States Congress passed a resolution that stated nonappropriated lands would be ceded to the United States and those lands would be settled and formed into distinct states that could join the Union on equal footing with the original 13 states. Four states claimed the northwest area. These were Connecticut, Massachusetts, New York, and Virginia. Connecticut reserved a portion of their claim that bordered the state of Pennsylvania, the Connecticut Western Reserve. It was administered by the Connecticut Land Company and John Young purchased the parcel of land at range 2, tract 2 for $16,085.16 which included 15,560 acres. John Young began surveying the land in 1796 and established a permanent settlement in this area in 1797. John Young got the notion to purchase land and move west during the western migration period that was sweeping the nation at the time. He came into contact with Lemuel Storrs of Middletown Connecticut (one of the original owners of the Connecticut Land Company) and with his brother-in-law Philo White, all three contributed to the purchase of the land. After my father’s death in 1825, and my mother’s sale of her home farm a few years later, the old tin case containing the Ohio title, deeds, surveys, maps, etc. was mislaid and finally lost. The only recorded document that can prove the purchase of the land from the Connecticut Land Company was not the original contract, but a map of the township which was divided into lots. Annexed to this map is a conveyance from Filo White to John Young of White's interest in the land. This conveyance is dated February 9, 1797 the consideration paid by Young to White being $1,050.00. There is no conveyance of Storr too Young, but is is believed to have been executed at the same time, thus with their release, White and Storr pass out of existence insofar as Youngstown and the Mahoning Valley are concerned. Their interested appears to only be that of investors and is not likely that neither of them even visited the area. Thus on February 9, 1797, John Young became the sole owner of the yet unnamed township in the Connecticut Western Reserve. 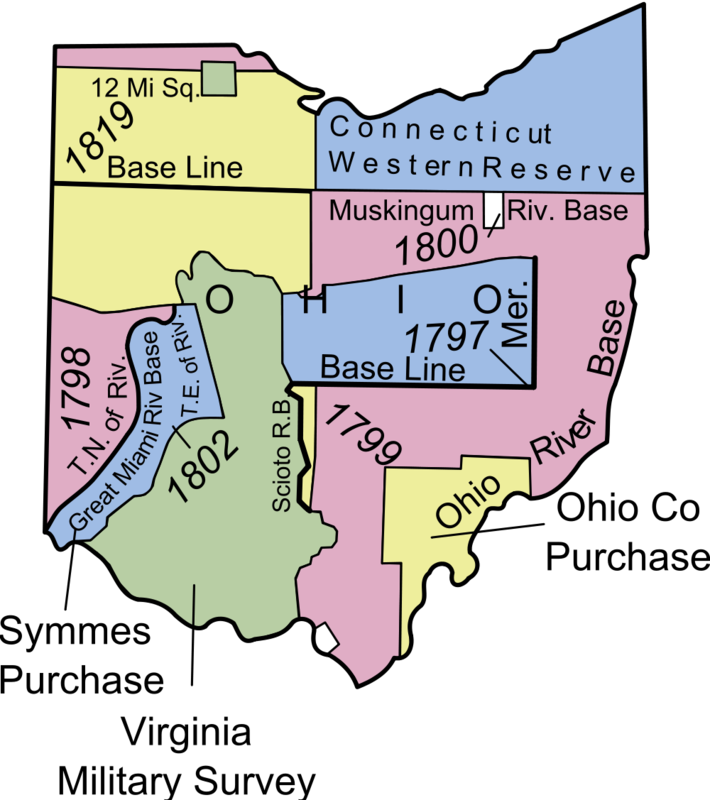 John Young chose the range 2, tract 2, because the Mahoning River was a good size stream and it was the nearest available land to the settlement of Beavertown. 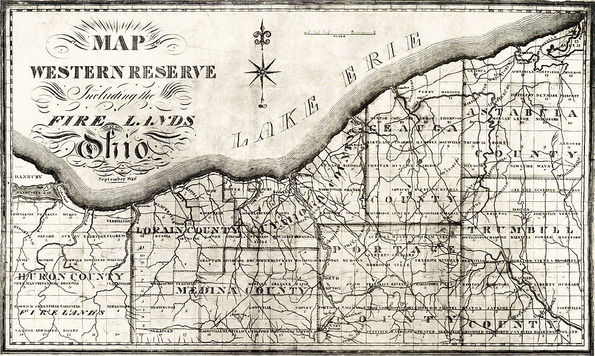 In the spring of 1797, Young and his party started out from his New York home to begin the 500 mile trip to the Western Reserve. There is no written diary or journal about their trip, but traditional records indicate that John Young and his party reached their goal in camping on the banks for the Mahoning River on June 25, 1797. A day or two after their arrival, James Hillman, journeyed down the Mahoning River in his canoe after a trading expedition amongst the Indians, intend on reaching his home at Beavertown for Independence Day. Passing what is now the site of Youngstown, he noticed smoke issuing from a camp on the river bank. Knowing from the smoke that this was not an Indian camp, he landed ashore to see who the white men were venturing into this country. There he met John Young for the first time. After some long conversation, Young and his party invited Hillman to join them for dinner. Hillman stated that he was on his way home for the Independence Day since he just traded with the Indians and he had left over whiskey that would be used for the celebration. Through some cunning negotiations, John Young got Hillman to bring some of his tradings to the dinner and from then on Hillman became best of friends with all those in the party, especially John Young. Hillman ends up staying with the settlers for a few days and then invites them back with him to Beavertown for the Independance Day celebration. They agree and have a great time. When it was time for the settling party to get back to work, they talked Hillman into coming back to the camp with them to help establish certain areas throughout the settlement since Hillman knew the backwoods and landscape very well. Hillman agreed and went back with them. He helps them to build the first log house on the East bank of the Mahoning River near what is now Spring Common and about where the stone retaining wall of the Pennsylvania Railroad is today located. Young and Hillman became such close friends that Young asked him to move into the new settlement. Hillman although loving to be out within the woods stated that he was eager to, but his wife was more of a city woman. Young, being the great negotiator, personally offered 6 acres of land to Hillman’s wife Catherine if they moved into the settlement. Although at first she was not acceptive, she eventually loved the idea of being a landowner, which it was not common for women to own land at that time. Hillman helped Young build his home that was suitable enough to bring out Young’s wife and two children (John and George) in 1799, to live in the new settlement. The Hillman’s and the Young’s spent as much time together that they could, but John and James were always exploring different regions of the area, especially up and down the Mahoning River. This took them away from the main settlement sometimes for days which eventually led to Young’s wife wanting to go back to Whitestown, N.Y. In 1803, Young reluctantly moved his now larger family, which included two additional children (William C. and Marie) back to Whitestown leaving his new settlement and good friend James Hillman. He visited the settlement (now called Youngstown) on many occasions with the last visit being in 1814, but he never became a permanent resident again. In 1800, John Hillman was appointed the first constable of Young's Township (Youngstown). Later he became a tax collector and a Justice of the Peace. In 1804, he purchase more land and opened a tavern that was located near today’s Powers Auditorium. In 1806, he was appointed sheriff of Trumbull Country which at the time embraced the entire Western Reserve. During the War of 1812, he served as Wagonmaster and obtained the rank of Colonel. In November 11, 1807, the Colonel was raised to Master Mason in the Erie Lodge #44 of the Free and Accepted Masonic Order in Warren, Ohio. In 1874, Masonic Lodge 481 was charted at Youngstown, Ohio and was named in honor of James Hillman, the city's first citizen. He was a member of the Ohio State Legislature during 1814-1815 sessions. Ms. Jackie Baxter, a successful entrepreneur and real estate investor from Cleveland, Ohio, is somewhat of an antique collector. As a hobby, she attends estate sales and picks up items that she can later research and date their origin. In April of 2011, she attended one of these auctions and purchased a large collection of antique containers that she just stored in one of her storage facilities until she had the time to go through and work on her hobby. After a couple of years, she finally got to look over these purchases and found the tin she had purchased that had the initials “J.Y.” and the words “Range 2 Tract 2” scratched into the top lid. Afraid of damaging the tin by opening it (although she could tell it had contents inside) she took it to one of her long-time friends to have it dated. Her friend dated the tin, due to its make and metals used, to somewhere around the late 1700 to early 1800. He said it was a very valuable piece and he recommend that Jackie should take her time in opening it, but if she doesn’t damage the hinges, she will not destroy the value of the container. Back at her workshop, Jackie took several hours working slowly at opening up the tin. Once she got it open, she found what was thought to be missing forever; the original documents stating the purchase of the land that John Young purchased from Connecticut Land Company. Jackie had no clue what these documents were about, but she knew just by looking at them they were extremely valuable. Too bad you left so early my friend, but I took care of the deal with Sheehy. I have hidden the $2000.00 in gold at one of our locations. If you look at the survey map I have included, you will be able to use that decoder I gave you to find it when you return or when you need to retrieve the money. It won’t be that easy since I am not telling you which location and I am leaving a little trail for you to find it. In fact, once I send off this lefter and the code, I don’t even think I could find it anymore without the decoder. Have a good Thanksgiving and hope to see you again soon. Also contained in the envelope was a piece of surveying notes that has garbled words and a wooden decoder wheel that on the back had the following etched, “To J.Y. from J.H.”. Jackie immediately contacted a historical research company in Youngstown called PANICd.com who, although specializes in researching paranormal activity, also has great skills in researching and putting together historical facts from various sources. 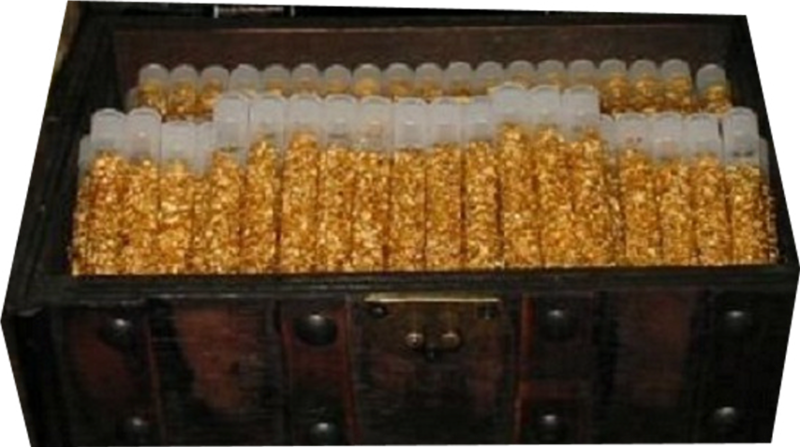 Once Jackie got more information back from PANICd.com, she quickly calculated that the $2000.00 in 1814 gold, would be worth 460 million dollars in 2019 based on recent auction sales of that period’s gold coins. Find out details treasure hunt.